A strong advocate for wine education, Michelle Paris DipWSET recently became Canada’s representative on WSET’s International Alumni Advisory Board, alongside her role as Director of Education for the Canadian Association of Professional Sommeliers (CAPS) (Ontario), and whilst running her own WSET Approved Programme Provider. She tells us what she’s learned from her experiences and how there’s more to Canada than Ice Wine. What inspired you to move into the wine world following a successful career in investment banking? I have always been fascinated by wine. My father is from France and I spent a fair bit of time there as a child. Wine was always on the lunch and dinner table and I was given a glass like everyone else - albeit it was mostly water! In my early 20s, I travelled to Spain and fell in love with Rioja. Over the years I was fortunate to be able to travel a lot and got to taste great wine which fuelled my passion. I had been looking for opportunities in the wine world for many years and was advised by several industry insiders not to do it. Ultimately, I didn’t listen, and finally decided to take the leap seven years ago and create my own opportunities. I haven’t looked back. Why do you think certified education is important? More and more, people are becoming interested in learning about wine. There are two distinct groups who are pursuing WSET and CAPS courses - those in the trade and the passionate consumer. For the trade, the certifications help people’s careers by making them more marketable. 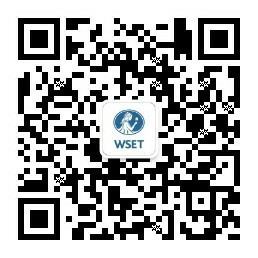 Having a WSET or CAPS certificate is a notable achievement. Furthermore, both are internationally recognized which helps if people want to travel to other parts of the world for work opportunities. For the passionate consumer, it is about the love of wine and the desire to learn more. Some may even be looking to gain knowledge for a career change. Having a wine certification is a great starting point. Formal qualifications aside, what has your experience working a full season at a winery taught you? Making wine from start to finish is hard work! From being hunched over for hours harvesting grapes to manual punch downs (at the beginning it’s like trying to get through wet cement), to moving barrels and lugging hoses, to cleaning tanks - it takes a lot of energy. During the process, I learned about being part of a team. Everyone had a job that needed to get done and everyone worked together to ensure it happened. There was no ego. We all wanted the same thing - to make delicious wine. I also learned that fermenting wine is a great way to warm up on a cold day and manual punch downs are like a spa for your hands - despite the fact that it took weeks for the purple to completely disappear. What do you think are the most significant current trends in the Canadian wine scene? Canadian wine regions are growing outside the traditional areas. It’s no longer just Niagara and the Okanagan. Nova Scotia has a thriving market (great sparkling wine) and Quebec’s wine industry is also on the upswing. We expect to see more growth in these regions as Canadians continue to embrace their homegrown wine. Unfortunately, when Canada is discussed in international circles, it is generally about Ice Wine. On international wines exams like the WSET Diploma, Master Sommelier or Master of Wine, if there is a Canadian wine being poured it will certainly be an Ice Wine. But we do have our champions - Jancis Robinson, Steven Spurrier, and Matt Kramer among others love our cool climate dry wines, in particular Chardonnay, Riesling, and Pinot Noir. And why wouldn’t they? With their bright acidity and restrained fruit, they are not just delicious but they’re ideal food wines. The certifications help people’s careers by making them more marketable. What advice would you offer to someone looking to change their career and embark on the journey into wine? The most important thing I would suggest is to develop a realistic plan. Once you know what direction you want to take, you’ll need to build a sound knowledge base. Take wine courses, talk to as many people in the industry as you can, read books, and taste, taste, taste! And if you have the opportunity to volunteer at wine events or at a winery, do it. Every bit of insight you gain into this business will help you in the long run.